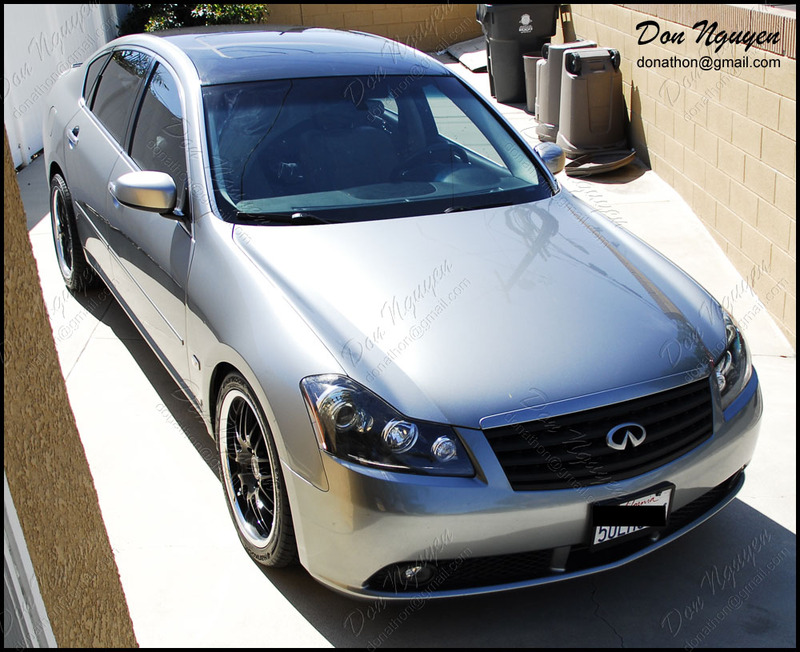 Here's a darker gray/gunmetal colored M45 that I vinyl wrapped the roof in my gloss black material. The owner of this car was around the Long Beach area. 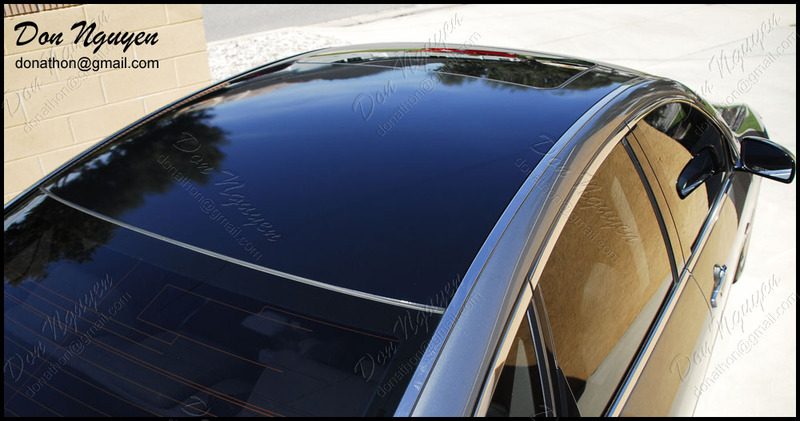 Even on a darker colored car, the gloss black vinyl roof actually still accents the entire the car very well. Especially on this car, with its black rims. We decided to leave the roof rails chrome, and it actually turned out looking very nice that way. It looks as if the car came like this from the factory/dealer. 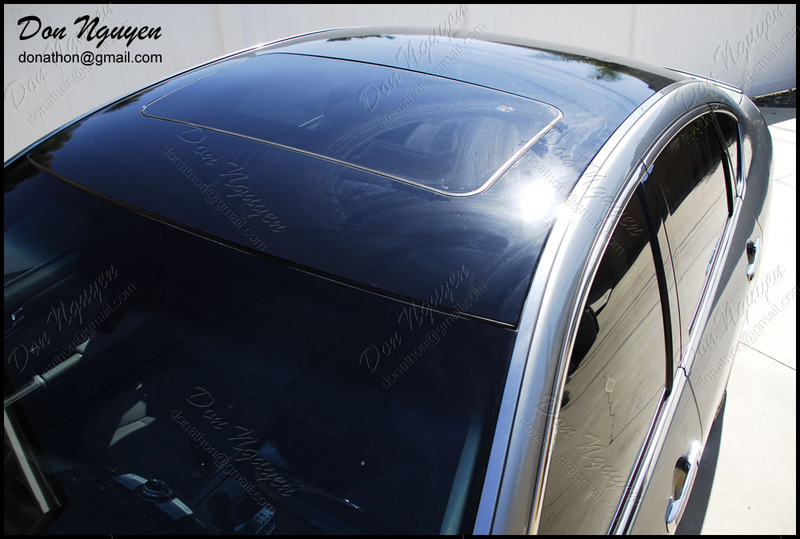 It was a hot day, so don't mind the water streaks on the roof/vinyl in some of the pictures.